Treat yourself and your other half this Valentine’s Day! Mulligan & Haines is serving up the perfect excuse to spoil your other half with a night on the town worth €300. 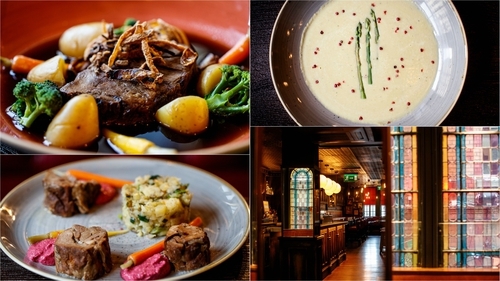 The Ulysses-inspired venue will serve up a three-course Valentine's Day meal for 2, a bottle of Moët* champagne and a one night stay in the adjoining Sweeney's Boutique Hotel. Simply Follow RTÉ Lifestyle's Facebook, 'like' the competition post and leave us a comment below to tell us your favourite thing about Valentine's Day. The prize is a 3 course Valentine's Day meal for 2, 1 bottle of Moët Champagne, a one night stay in the adjoining Sweeney Boutique Hotel. Closing Date: Tuesday, 13th of February 2018.